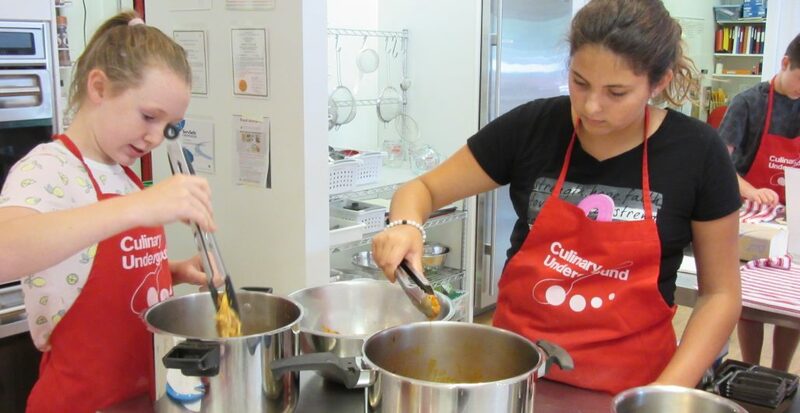 Get a head start on your dream of becoming a professional chef (or just cooking like one!). With emphasis on learning skills and working as a team, students will rotate chef stations each day, preparing various dishes at each station using fresh, seasonal ingredients. On the final day, students put heads together to create a contemporary American menu of their own specialties using the skills they learned during the week. CU will provide beverages and light snacks in addition to the meals that the students prepare. The series is 5 half-days, Monday-Friday, July 29-August 2 , from 2:30 PM to 6:00 PM each day. Upon registration, you’ll receive a information packet with a form to complete and return to us. Please note our allergy policy.